With warmer weather arriving, hydration is an important thing to keep on your radar. It’s crucial to replenish the fluids that you are losing, especially if you tend to be active outdoors in the warmer months. If plain water is boring and unappealing to you though, try adding these strawberry and herb ice cubes to your water glass. 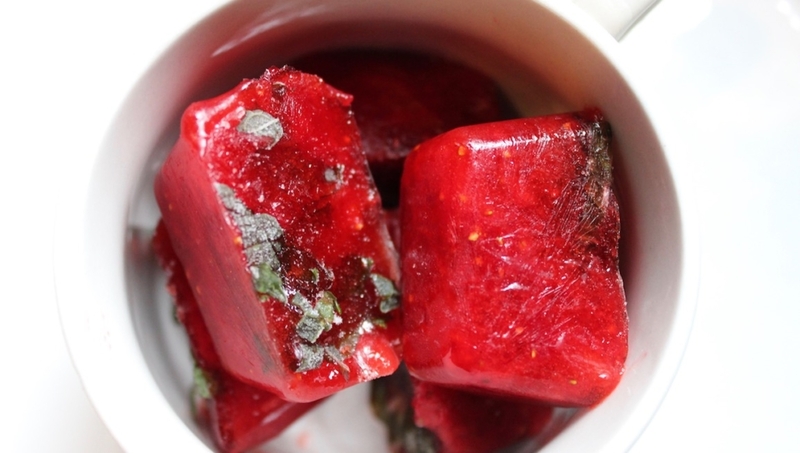 They are a delicious way to naturally infuse flavor into your cup while keeping it cold at the same time! 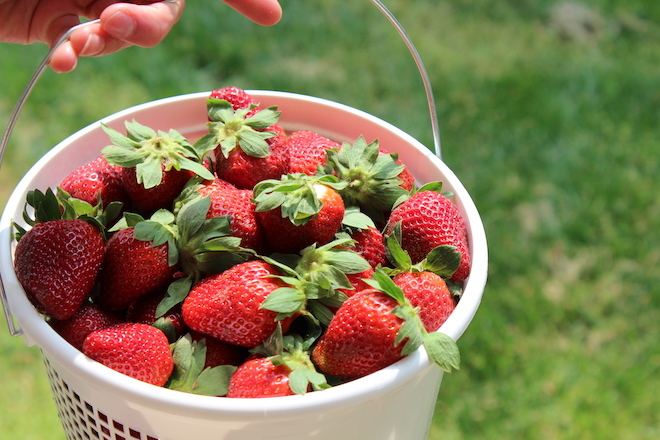 Muddle fresh strawberries and spoon into an ice cube tray. Top off with water, freeze, and enjoy! Optional: add chopped fresh mint or basil for even more flavor.